The days of hard drive PVRs are numbered, if the arrival of the SD card Cello LCD is anything to go by. Instead of a noisy drive prone to failure, this low-price LCD uses removable Flash memory cards to store TV recordings. The 26-inch or 32-inch TVs have twin Freeview tuners, a basic electronic programme guide and a gimmicky split-screen function so you can watch two channels at once. They also include an integrated DVD player, but there are no details yet on the screen resolution, DVD/Freeview upscaling or the maximum capacity of SD cards it can take (it'll be annoying if you have to swap out cards every few days). The televisions will be available in July under the Cello brand from Studio and Ace catalogues (26-in £400/32-in £470), and the Soundwave marque from Freemans and Grattan (where the 32-incher is a little cheaper at £450). 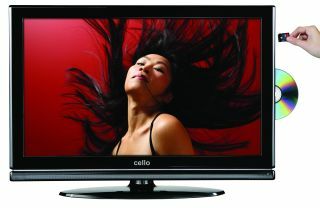 Cello is also hinting at similar PVR technology to be released at Littlewoods and Marks & Spencer later this year.